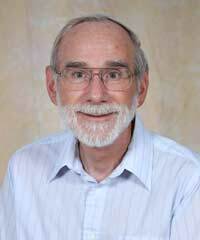 New Titles by Professor Mark Boyer! Mark G. Boyer, a part-time faculty member in the Religious Studies Department, recently announced the publication of five new books in 2017. Mark G. Boyer, a part-time faculty member in the Religious Studies Department of Missouri State University, Springfield, for 29 years and a retired Catholic priest, recently announced the publication of five new books in 2017. 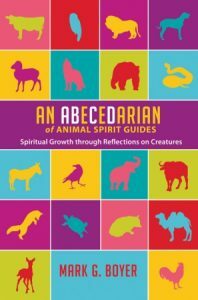 An Abecedarian of Sacred Trees: Spiritual Growth through Reflections on Woody Plants (Wipf & Stock, 2016), a companion volume to Animal Spirit Guides: Spiritual Growth through Reflections on Creatures (Wipf & Stock, 2016), explores various sacred trees in the world’s religions. “Trees have religious significance in most, if not all, cultures,” writes Boyer. 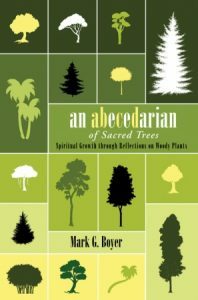 An abecedarian – a book whose contents are in alphabetical order – explores the spiritual growth that is possible by reflecting on sacred trees. “Trees tell us about ourselves and about the divine,” writes Boyer. In forty entries, Boyer presents a text identifying the tree, a reflective study, a question for journaling or personal meditation, and a concluding prayer. 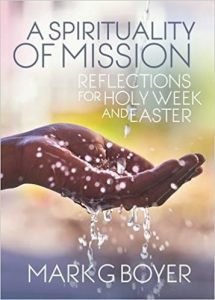 A Spirituality of Mission: Reflections for Holy Week and Easter (Liturgical Press, 2017) presents an exercise for every day of Holy Week and Easter aimed at guiding the reader to develop his or her own spirituality of mission. “Those who understand the gospel are called and sent to proclaim it in word and through the way they live their lives,” writes Boyer. The book is divided into twelve sections with five entries in each section. While the book is ideally used during Holy Week and the Easter Season, it can be read at any time a person wants to engage in the ongoing transformation that spirituality entails. Unlike other day-by-day books, this one is not based on the Lectionary texts. 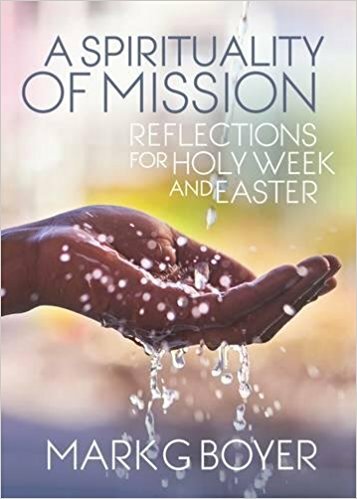 “The purpose of the book,” according to Boyer, “is to transform the reader into a missionary or evangelizer.” It is ideal for use during the Easter period known as mystagogy for the newly baptized and newly professed members of the Catholic Church. Each entry consists of a Scripture text, a short reflection, a question for journaling and personal meditation, and a concluding prayer. Divine Presence: Elements of Biblical Theophanies (Wipf & Stock, 2017) examines the appearance of God in storms using the narrative of Moses’ encounter with God on Mount Sinai (Horeb). Twenty-one elements that reveal the glory of the Lord are examined: mountains, sacred numbers, God’s voice, people’s (person’s) response, cloud, water, thunder, lightning, trumpet blast, smoke, fire, earthquake, terms of the event (covenant), sign, transformation of witnesses, altar, feast (meal) wind, light and darkness, jewels (precious stones), and dreams. Fruit of the Vine: A Biblical Spirituality of Wine (Wipf & Stock, 2017) is designed to help the reader grow in spirituality through reflecting on biblical vineyard stories, wine making, and wine as a metaphor for life. 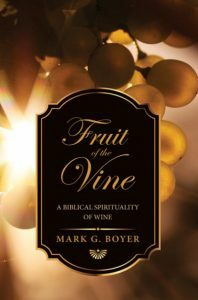 A spirituality of wine – categorized as a spirit – connects the spirit in wine to the universal spirit all share. According to Boyer, “Wine is a major sign of transformation in the process of growth from blossom, sunlight, and water to grapes, which are int urn broken apart, integrated into a whole, and fermented into alcohol. While the wine is aged, it undergoes even more transformation. 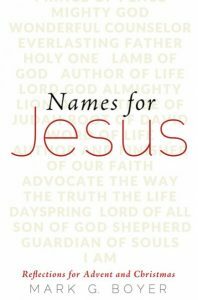 In a new book of reflections for Advent and Christmas titled Names for Jesus (Wipf & Stock, 2017), Boyer explores 50 names given to Jesus in the Bible using a short Scripture text, reflection, meditation question, and prayer. The entries are designed to offer the spiritually-inclined person a non-Lectionary approach to observing Advent and Christmas. Among the names for Jesus receiving entries are: Prince of Peace, Mighty God, Wonderful Counselor, Everlasting Father, Holy One, Lamb of God, Lord God Almighty, Lion of the Tribe of Judah, Root of David, Word of Life, etc. 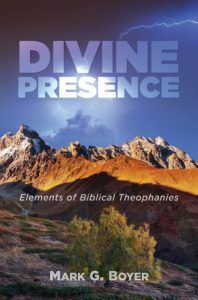 Review copies of Sacred Trees, Divine Presence, Fruit of the Vine, and Names can be obtained by calling Wipf and Stock, (541) 344-1528, or visiting wipfandstock.com. A review copy of Mission can be obtained by visiting litpress.org. Fr. Boyer is the author of 54 books on biblical and liturgical spirituality, some of which have been translated into Chinese, Spanish, and Italian. 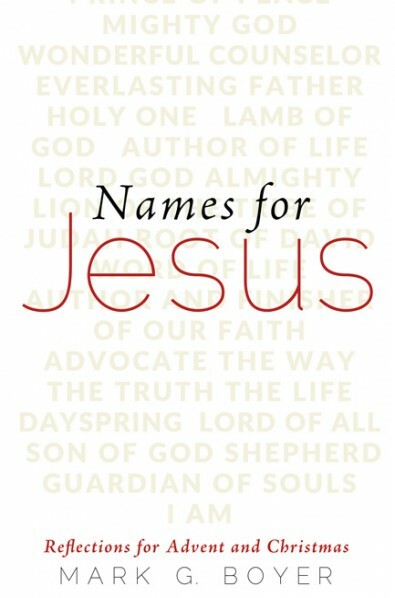 All Boyer’s titles are available at DeSales Catholic Bookstore, 210-J W. Sunshine, Springfield, MO, (417) 831-4630. Boyer is an alumnus of Cardinal Glennon College, St. Louis, MO (1972); St. Meinrad School of Theology, St. Meinrad, IN (1976); Indiana University, Bloomington, IN (1981); Missouri Southern State University, Joplin, MO (1984); and Loyola University, New Orleans, LA (2000).